Music students work hard to progress, and their instructors work just as hard teaching them theory, harmony, rhythm and how to perfect the instrument they chose to play. One of the ways students and teachers can measure progress and milestones is through music examinations. Music exams are just like any other type of exam, they measure what a student understands and has learned, and they also measure if the student can take that knowledge and actually apply it to the situation at hand. There are two common music exams that a student might encounter in their development, the Musicianship Exam, and the Theory of Music exam. Below are some facts about each, and how they might apply to a student’s development and progression as a musician. 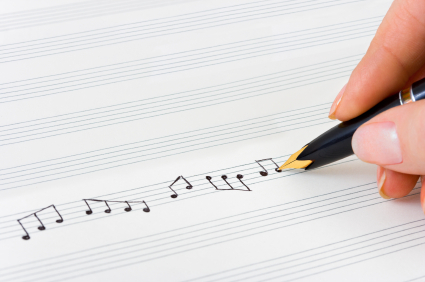 The musicianship exam evaluates a student’s understanding of melody, rhythm, harmony and form. The student may be asked to answer questions orally, and to demonstrate their knowledge of their instrument by playing. The exam is divided into sections, the number depending on the student’s level or grade. Students may be asked to play from memory, to improvise or to play from site. To prepare for the exam, students might consider the use of flashcards, or even seeking the assistance of online tutoring sites. A student’s instructor will also be able to help prepare the student, and offer advice on where time and study would be best placed. Theory of Music Exams give music students the chance to show how they’ve progressed over time in regards to music literacy. The exam focuses on what a student knows about music signs and terminology and how it relates to performance and compositions. In addition, students have to demonstrate their level of knowledge regarding chords, intervals, keys and scales. Balanced rhythmic patterns, melodies and harmonic structure knowledge is also evaluated in a Theory of Music Exam, as is the ability to apply theory to a composition. Theory of Music exams are evaluated on a total of 100, with a score of 66 required to pass, a score of 80 to earn the level of Merit, and a score of 90 to earn the level of Distinction. To prepare for the tests, students should consider contacting their local music store, which should have available past tests for review and study. In addition, numerous on-line sources may help students prepare themselves for the Theory of Music Exams.